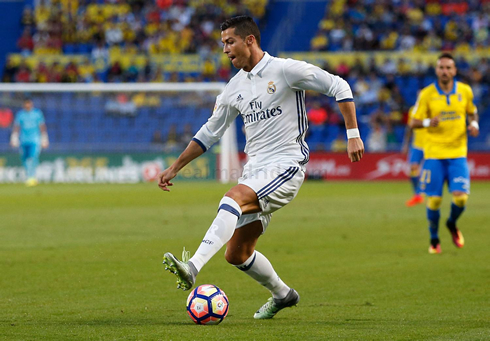 A trip to the Canary islands is never an easy trip and with the form Las Palmas have been in to start the season, it's no surprise that Real Madrid struggled today. Without both Marcelo and Casemiro, Madrid found themselves struggling at times against the surprise team in the league this season. Youngster Marcos Asensio was the surprise starter today, filling in at a more advanced position in midfield, with Kroos and Modric supporting. Nacho filled in for Marcelo at left back. Real Madrid started with intent, but chance after chance was botched in front of the goal. 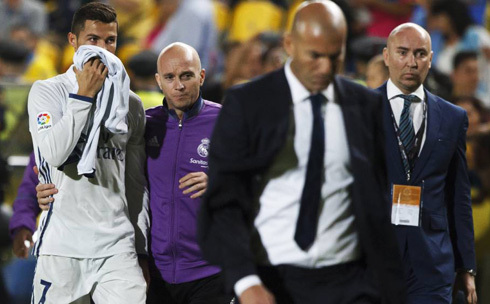 Ronaldo was still clearly rusty, as he had a bit of a horror game even coming off in the 71st minute - a rare sight. 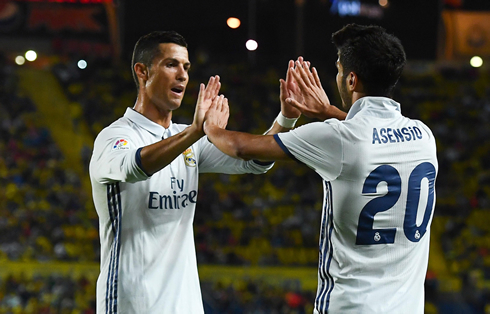 The Merengues did get the opener however, after an impressive run and shot from Nacho Fernandez leading to a rebound for Asensio. The youngster was in the right place at the right time and added his name to the scoresheet with an empty net header. One thing is becoming apparent with Madrid... While the 4-3-3 allows the BBC to function and also provides perfect balance, It also tends to affect Madrid's creativity. 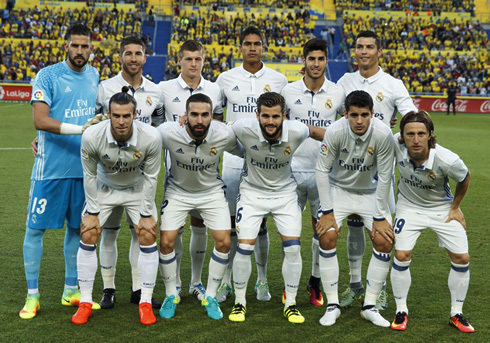 Against Villarreal, Madrid were forced to resort to cross after cross and at times against Las Palmas, we ended up seeing the same thing, though most crosses were into the feet. 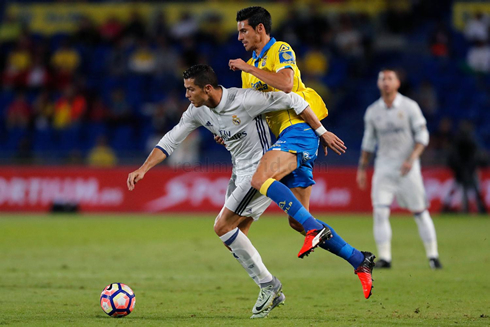 And while Madrid struggled to score, Las Palmas seized their chance when the impressive Tana took advantage of some lazy defending to finish neatly in the box. Real Madrid pushed in the second but still struggled to finish. Ronaldo, Bale and Morata all missing at the most crucial moment. Morata, the standout player on the pitch, has grown in leaps and bounds and the team would have done well to follow his lead today. Eventually, Zidane brought on Benzema, playing the Frenchman up top with Morata in a 4-2-4 formation. And it would pay off after a Ronaldo miss from point blank range, when Benzema finished the rebound. Almost a carbon copy of the first goal. With that, Zidane took Ronaldo off and the Portugese star did look upset. But perhaps more with himself than the coach. And then it happened. A lapse at the back late in the game allowed Sergio Araujo to bundle home an equalizer and suddenly Real Madrid lead was gone. Up next Dortmund, a team in fine form. Real Madrid are in for a very difficult night in Germany. In their current form, a draw could be a good result sadly. Attackers: Bale, Cristiano Ronaldo, Morata. Cristiano Ronaldo next game for Real Madrid is for the UEFA Champions League on September 27 of 2016, against Borussia Dortmund. You can watch Juventus live stream, Borussia Dortmund vs Real Madrid, Atletico Madrid vs Deportivo, West Ham vs Southampton, Fiorentina vs AC Milan, and Hoffenheim vs Schalke 04, all matches provided from our football live game pages.